Home » Insurance » 2 Key Things to ask : Rejected For Long-Term Care Insurance? 2 Key Things to ask : Rejected For Long-Term Care Insurance? Long-Term Care insurance not only costs big bucks, the approval process for getting it can also resemble an Olympic obstacle course - especially when pre-existing conditions or other situations exist. Insurance companies are running a business, after all, so they apply tight standards to long-term care insurance applications to screen out people who present too high a risk. As a result, people get a thumbs down all the time. According to industry statistics, as many as one-third of all people who are only in their sixties when they apply for long-term care insurance are told NO! • Does the company have an appeals process? Most of them do. If so, take a copy of the company's rejection letter to your doctor. The letter will specify why you were rejected (or whacked with a premium much higher than you were expecting). The doctor's response to the reasons the company's turning you down is pivotal - and shrouded in mystery. Unless you're in the medical field, you won't understand a tenth of what the letter is saying. So, you just have to have faith that the doctor has made a bulletproof case for the company to accept you. Just remember, insurance companies can pull some really, really big boners. In one situation I'm familiar with, the company said that part of the rejection was based on some medical conditions that the doctor had never seen in the patient. Part of the doctor's tart response: "I certainly appreciate your calling my attention to these medical issues. In more than 20 years of being this patient's physician, I have never run across those conditions in this patient myself." Despite the letter's cheeky tone, the doctor made such a compelling case that the insurance company issued a policy after all. Be forewarned, though, that appeals don't succeed very often. But it does happen. I myself know of two situations where a doctor's letter won the day. Be aware, as well, that doctors are very busy. You may have to give the doctor a few nudges before the letter materializes. • Do you have another policy or company whose coverage isn't as good but for which I'd likely qualify? Agents want to get a commission from working with you, so they'll usually have a couple of alternative companies or policies to show you if your first choice doesn't work out. And if you're working with an agent who's experienced in long-term care policies, (fingers crossed that you made it a point to pick such an agent in the first place) they may even still be able to get you a policy with a top company at standard rates. 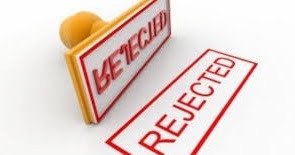 In short, being rejected by an insurance company is not the end of the road. It just may mean you'll have to take a detour or two to get where you want to go. David Kohn is veteran journalist and investigative reporter recognized as The Heads-Up Consumer Advocate. He specializes in helping people make decisions about high-ticket items and services. For more in-depth information about purchasing Long Term Care Insurance, visit: http://www.buyinglongtermcareinsurancewisely.com. For information on additional topics,visit: http://www.yourbestmoneysecrets.com. Related : 2 Key Things to ask : Rejected For Long-Term Care Insurance?